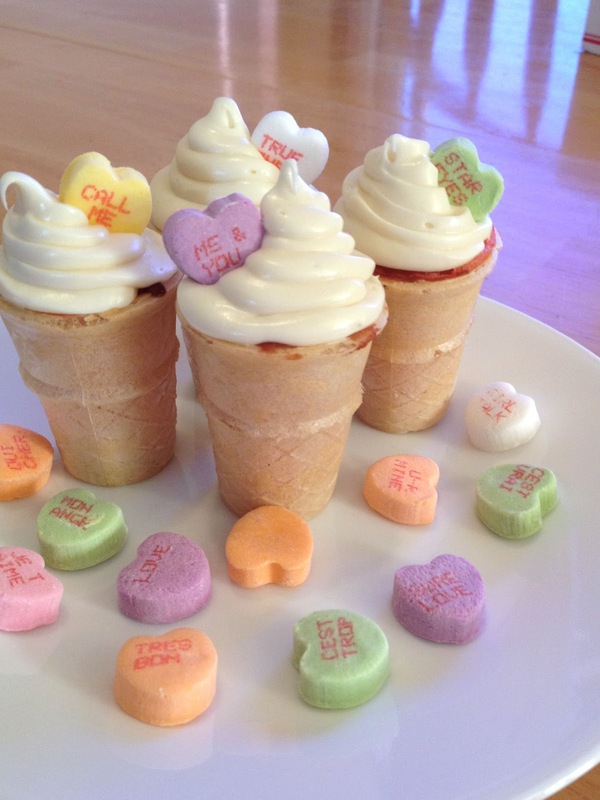 It seems like this year, all the momma’s on my Instagram & Twitter decided to make cupcakes for v-day, and obviously so did I. 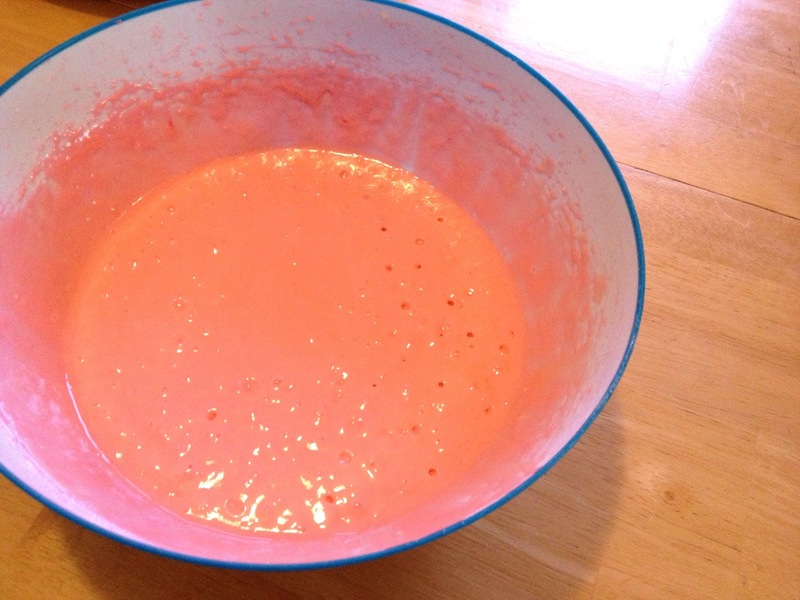 But, a few days ago, while brainstorming ideas for what I could send Holly to daycare with, this idea popped into my head (it was either this or strawberry fudge- yum!). 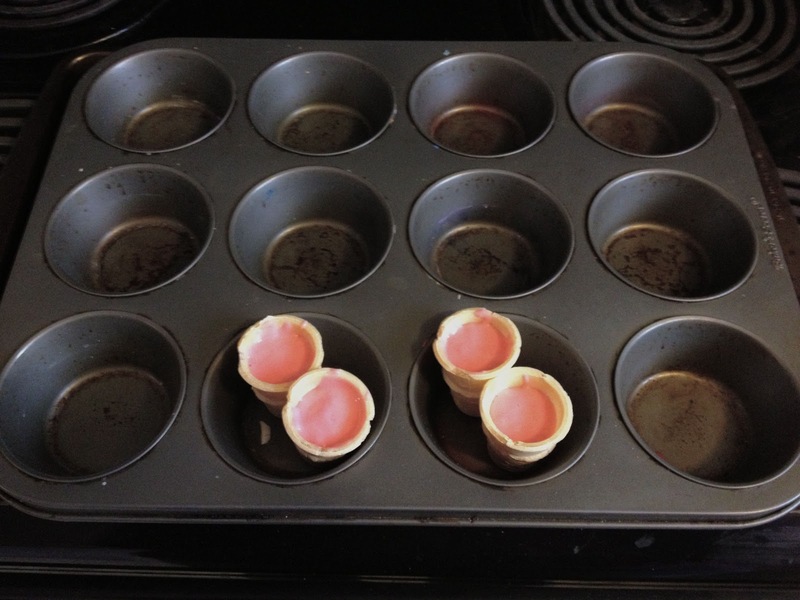 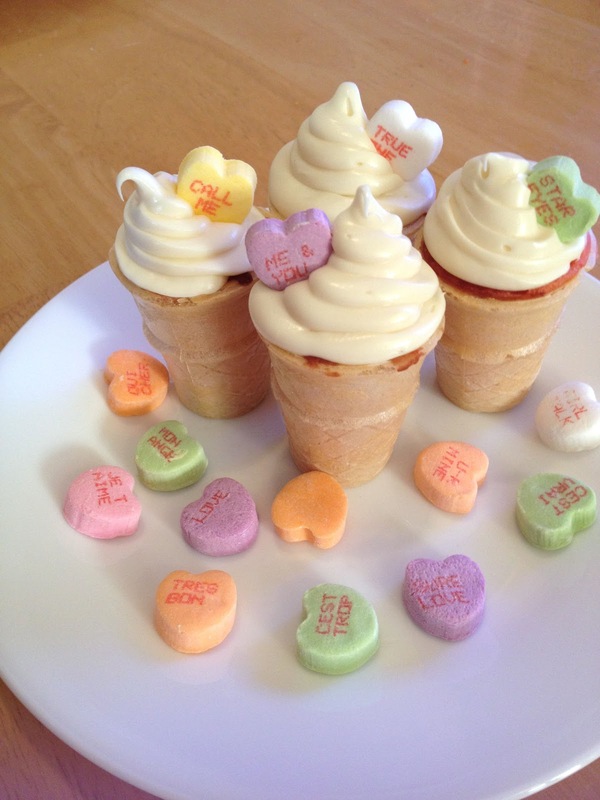 I put a little spin on traditional cupcakes with these tiny ice-cream cupcakes. 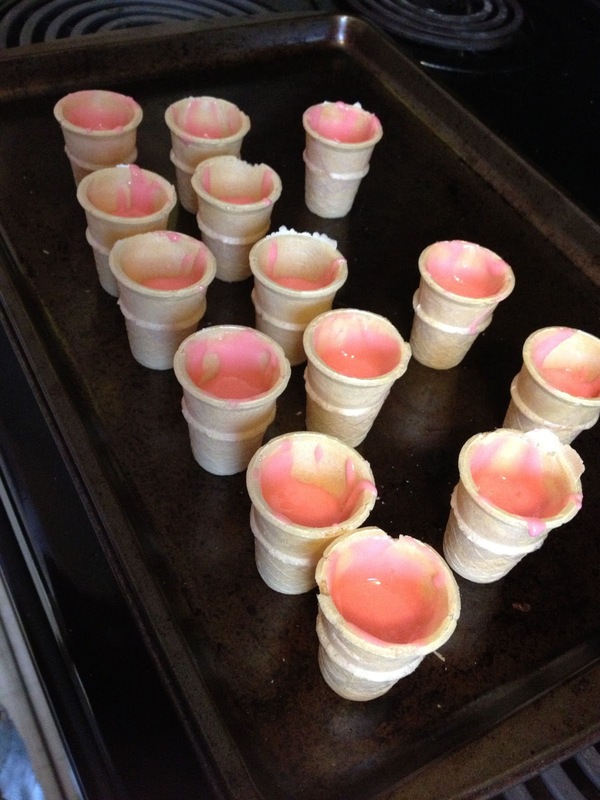 These things are perfect for toddlers (in reality they are roughly 3″ tall), and are super easy to make. 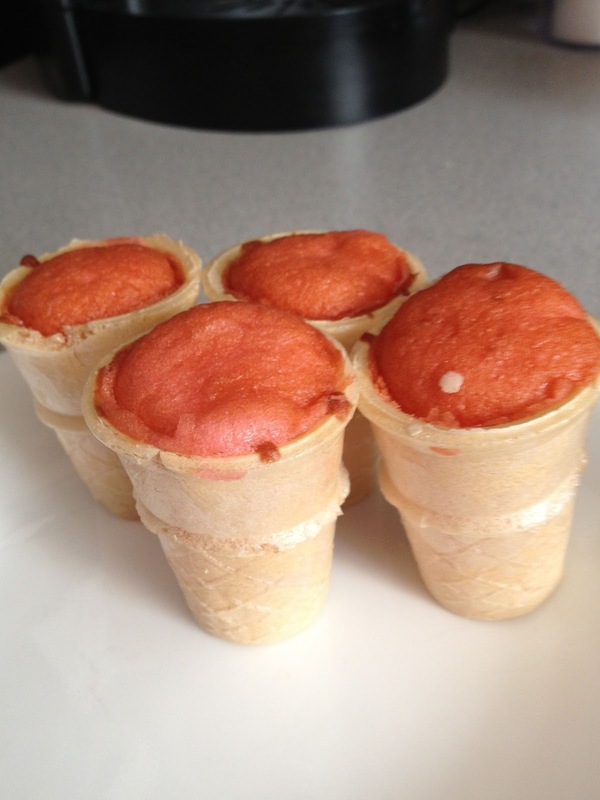 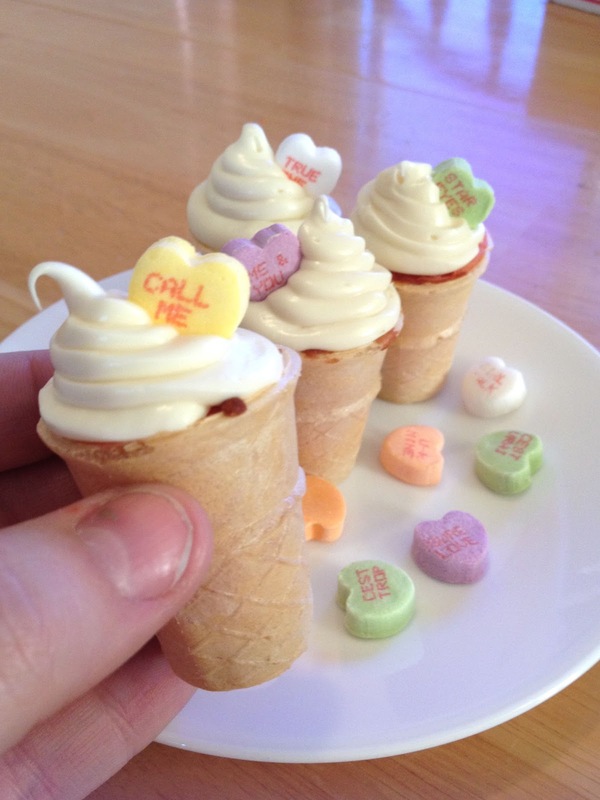 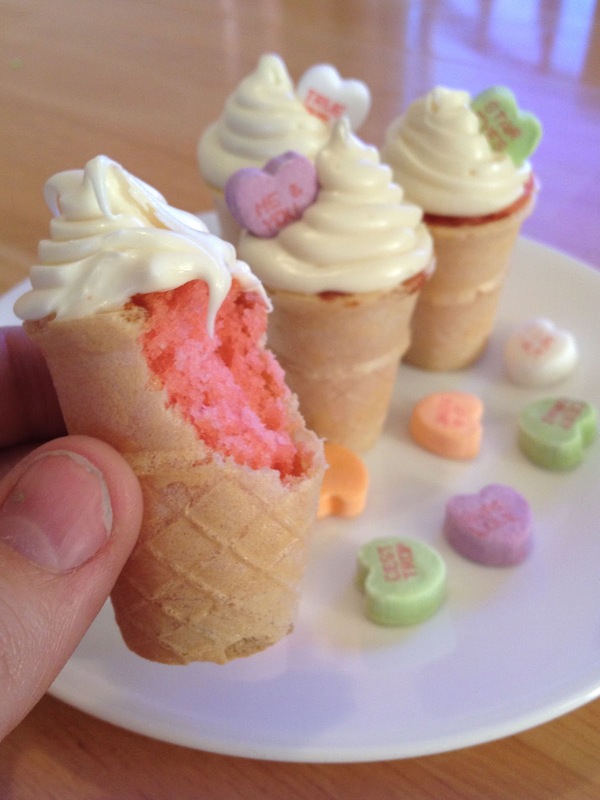 All you need is cake batter (with food colouring if you wish), flat bottomed mini ice-cream cones, icing, and candy for garnish. 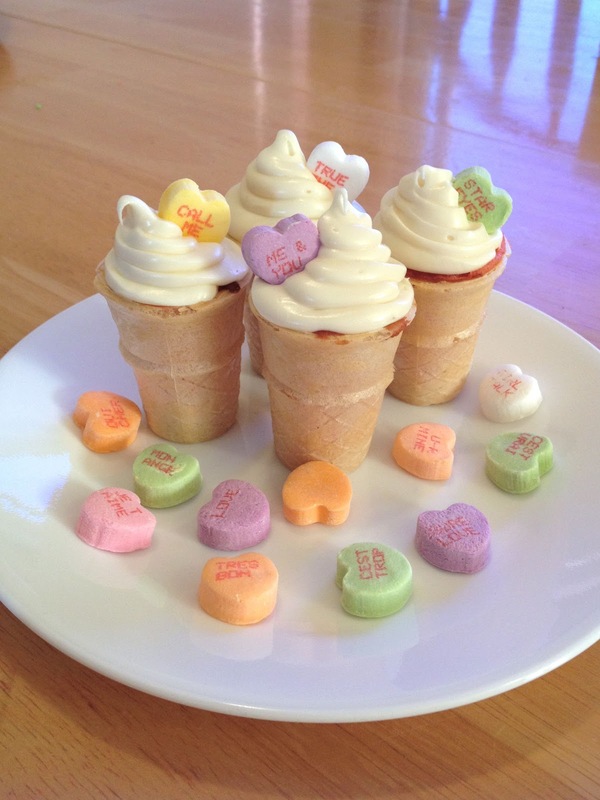 What did you whip up for your Valentine?